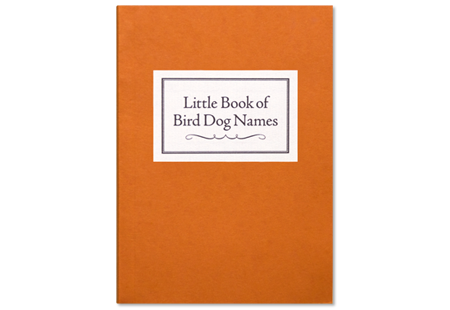 24 page miniature book of bird dog names. Richly illustrated. 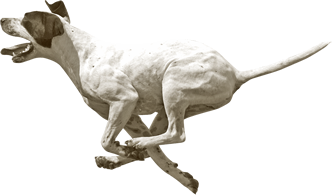 Quotes from our favorite bird dog books penned by Bill Allen, Everett Skehan, Dion Henderson, Ray P. Holland and others. 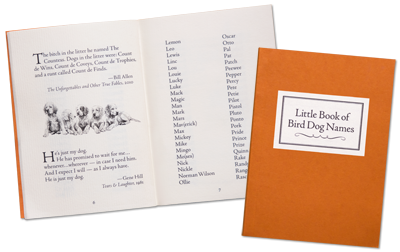 First in a series of “Little Snoring Books” published by Strideaway about bird dogs, upland game birds and related topics. Comes in a transparent orange envelope. Useful and unique gift idea!